Learn about the intricacies of lock making with the 4M Money Safe. Build and configure a digital lock to create the most secure coin bank ever. Learn how to wire a circuit and install an alarm buzzer for maximum security. Challenge friends to bypass the buzzer and crack the lock if they can. 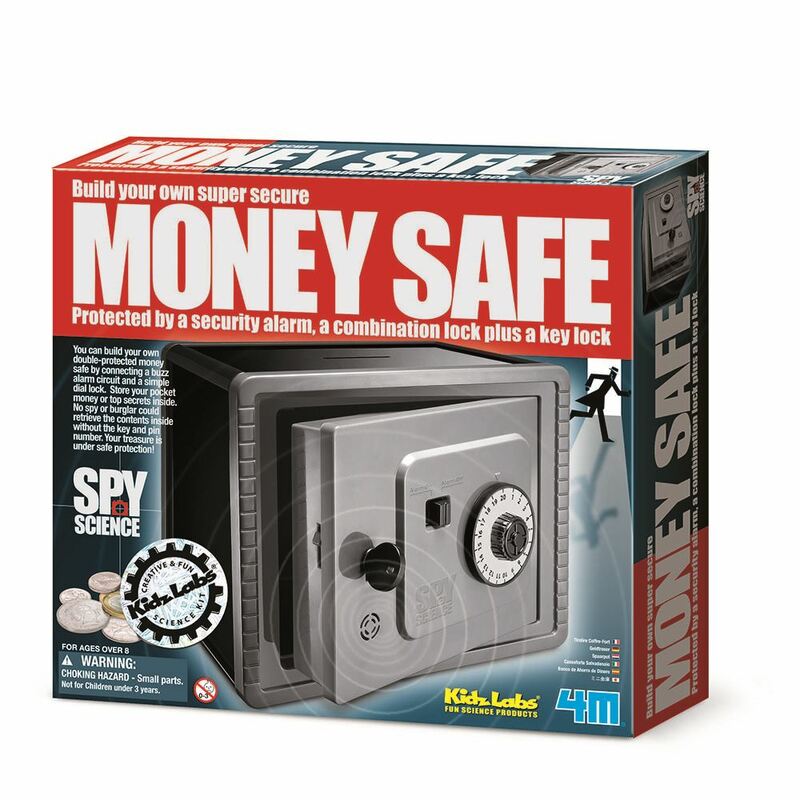 Includes: a plastic money safe (assembly required), electric buzzer, electric wires, string for alarm trigger, metal pegs, battery case and detailed instructions. Age 8+ years. Part of the KidzLabs range. Distributed in New Zealand by Holdson.